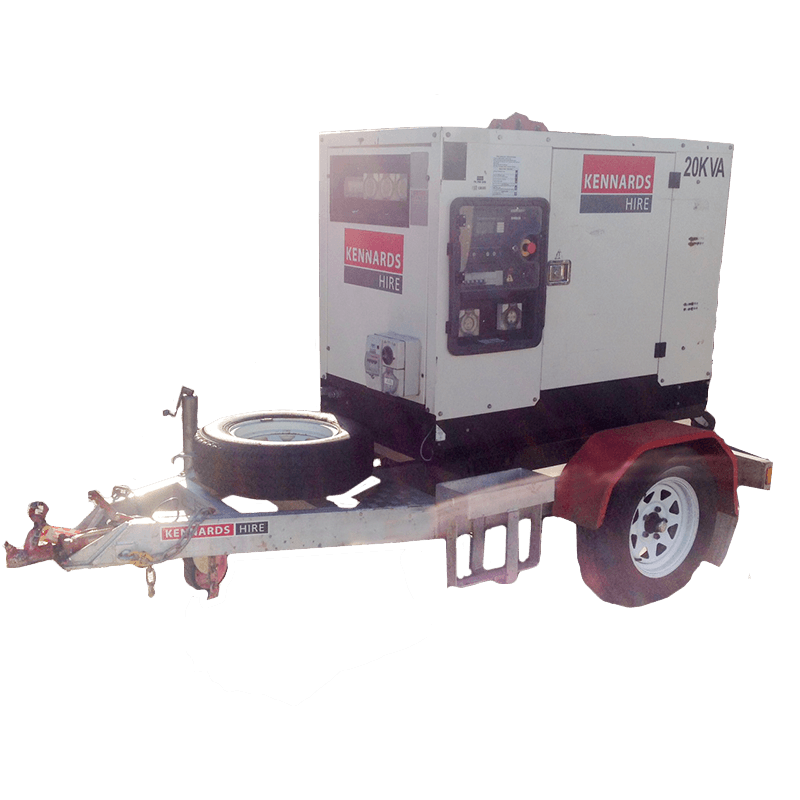 A portable, heavy duty diesel unit designed to generate power to run a wide range of tools, appliances or other electrical applications. Featuring 240v & 415v outlets and silent operation, 20kva generators are great for construction sites, events, small power shutdowns and numerous other applications. 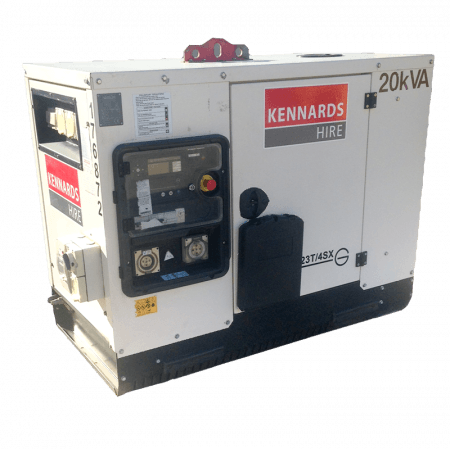 The 20 kva generators will generally come mounted on a trailer for portability and easy transport. 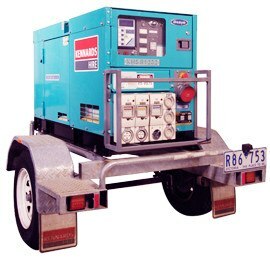 Skid mounted units are available on request. - NOTE: The hire rates are based 8 hr run time per day. 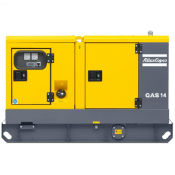 Each additional 8 hrs per day is charged at 50% of the daily rate.